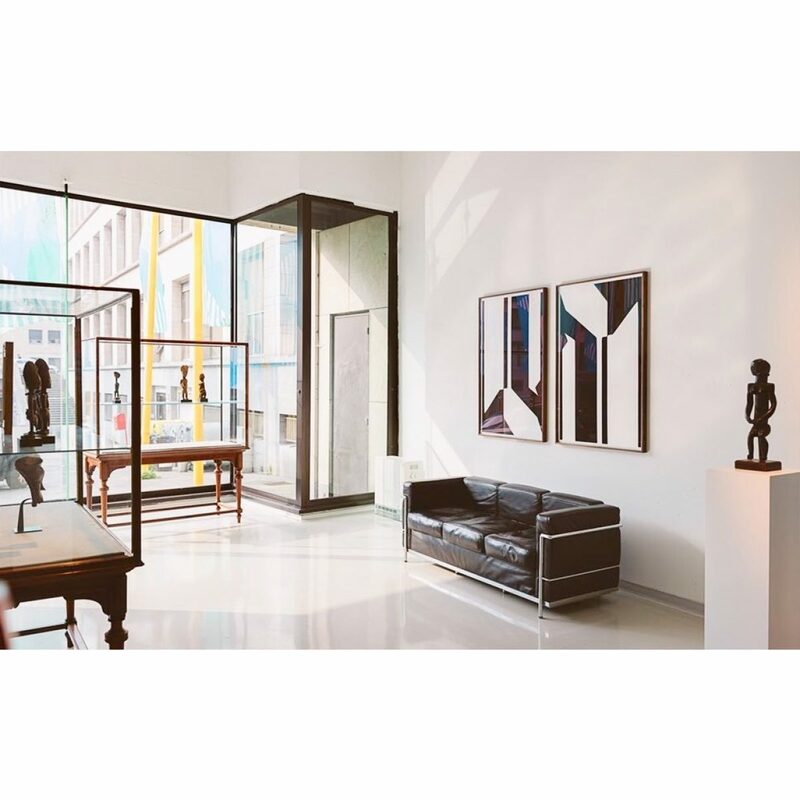 We had a conversation with Nicolas Paszukiewicz and Sébastien Hauwaert of Native Auctions and we learned what it means to be the only auction house in Brussels specialised in historical African and Oceanic art. 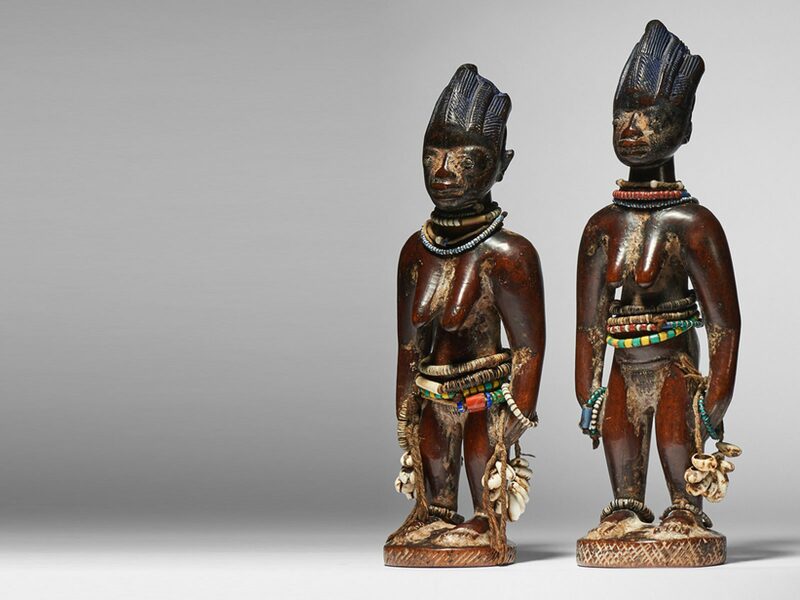 In this Dealer Spotlight, we learn more about these young auctioneers, the process they follow to source and select pieces for their auctions, and the advice they have for young collectors of African art. Under what circumstances was Native Auctions born? We were colleagues at a European auction house where we worked together for five years before founding Native Auctions. 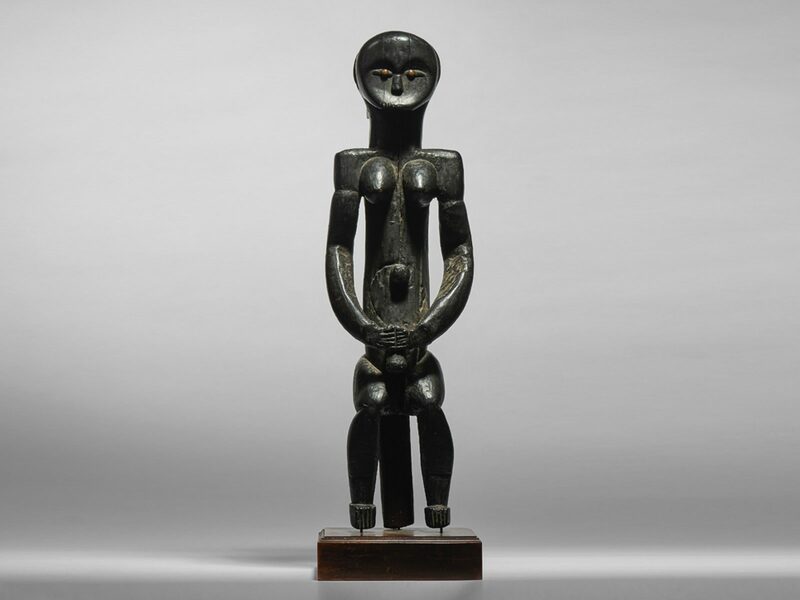 We had the opportunity to organise a number of African and Oceanic art auctions in conjunction with generalistic sales which included modern and contemporary paintings, furniture and Asian art. At a point, we had to deal with a single consignment with a lot of African art, supported by an expert that later decided to become a dealer. While preparing the auction, we decided to offer something slightly different—a small number of high-quality objects. The sale went well and convinced us that we were ready to embrace this new approach on our own and that we needed to explore the African art market further. Of course, creating an auction house on your own is a risky move and we were very much aware of the fact that it could have been a dead end. But today, we’re finally happy to be doing what we do every day, we’re glad we had the courage to venture into this project. What's it been like being the only African art auction house in Brussels? 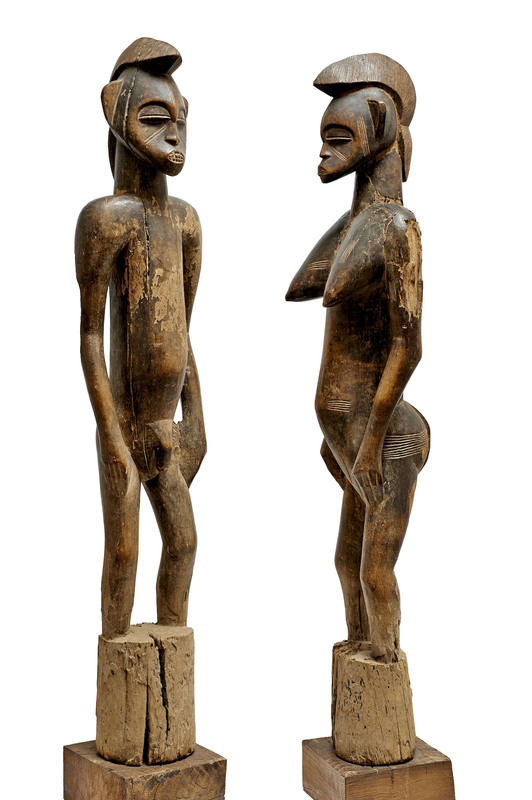 There are many other auction houses in Brussels or in Antwerp, but none of them is specialised in 'tribal' art. 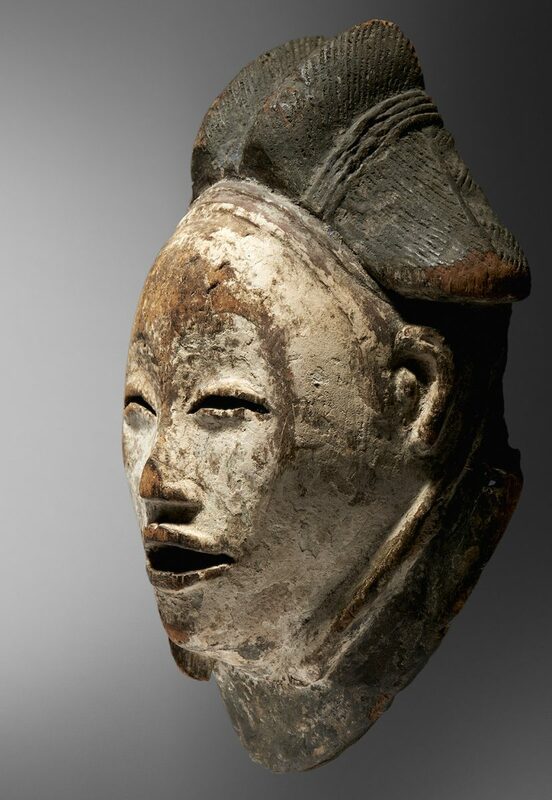 At the time we created Native Auctions, if someone was exclusively interested in African art auctions, they had to go, for instance, to Paris. But we knew that, here in Brussels, a lot of interesting objects were still part of private colonial collections. We had a precise idea of what we wanted to do, we didn’t want to aggressively approach the collectors, but we wanted them to know about us, however building mutual trust it still is a bit of a challenge. You're both very young. Does your age has some sort of influence on your customer? 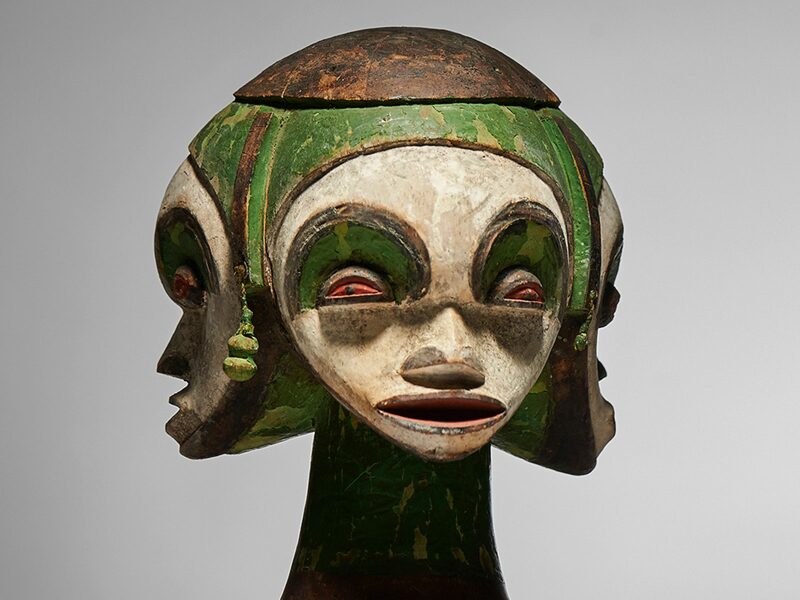 The main base of collectors is rather old, mostly because they started collecting when it was extremely exciting (and cheaper) to approach African art and it was still possible to discover new things. The excitement of discovery has always been the biggest motivator. Back in that time—and we are talking about a few decades ago—it was still possible to discover Nok figures, Tabwa and Hemba sculptures, cultures that were already known but that hadn’t appeared on the market yet. Now, everything has changed. Many things are now well known and information is readily available and much easier to obtain than ever before. Speculation is one of the things that motivate people today, this is why we try to keep ourselves as far as possible from that mindset. We try to avoid flutters and instead focus on the innermost qualities of the objects. This focus has inevitably led us to encounter collectors interested in beauty and high-quality pieces—most of those collectors are surprisingly young. They have studied and they have good taste. Social networks play a significant role in helping us stay connected with that group of collectors. Is it really related to our age? Hard to tell. Young African art collectors exist, but they are very rare. It’s difficult for us to understand how this is related to our age, even if yes, there is a generational factor. Truth is that in the last few years we have felt the need to meet and to show African art to other collectors. The public at our first auctions was made up almost exclusively of dealers because they knew the objects and the market more than anyone else. Then, auction after auction, things slowly started to change. It was probably also because we started presenting contemporary art and furniture, which usually are objects sort after by a different audience. 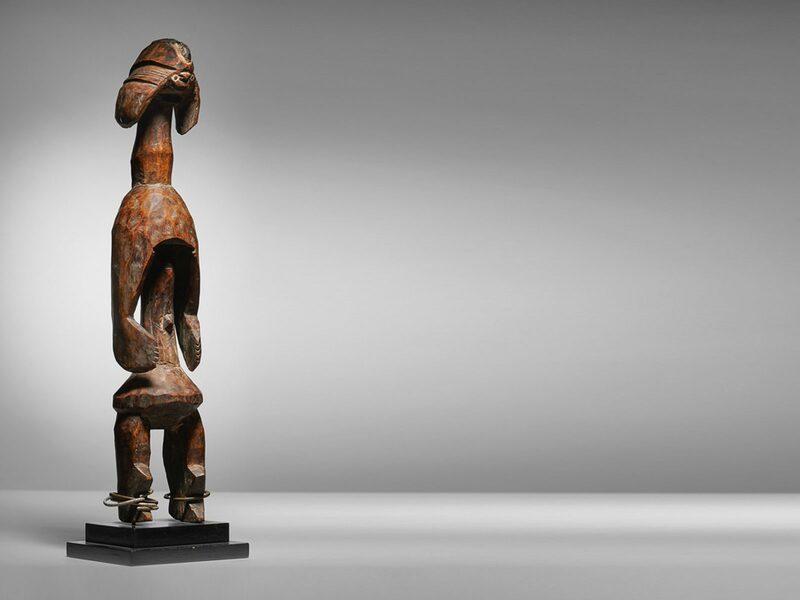 Many people find it hard to understand how the African art market works and what the real value of the pieces are, there is even more confusion with prices and estimates. 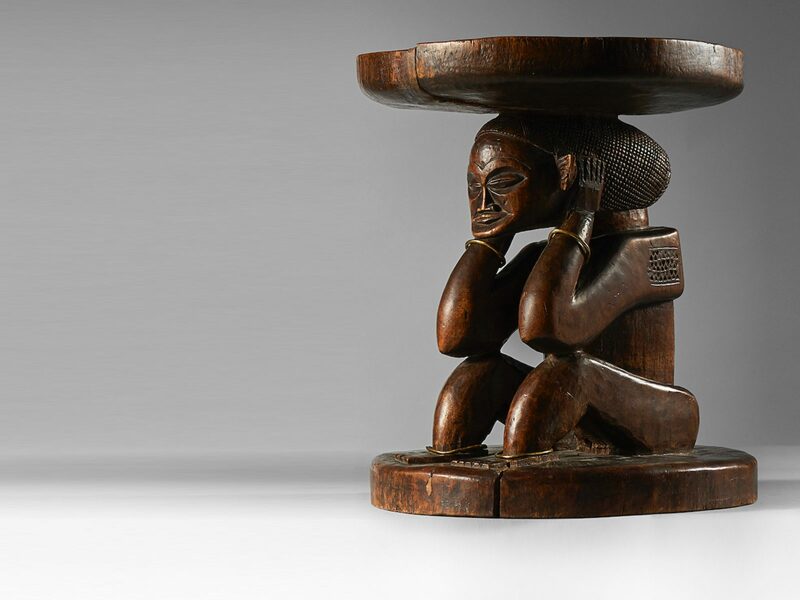 Presenting modern art and furniture together with African art is a way to help collectors create connections between objects from different fields and to help them understand their respective value. 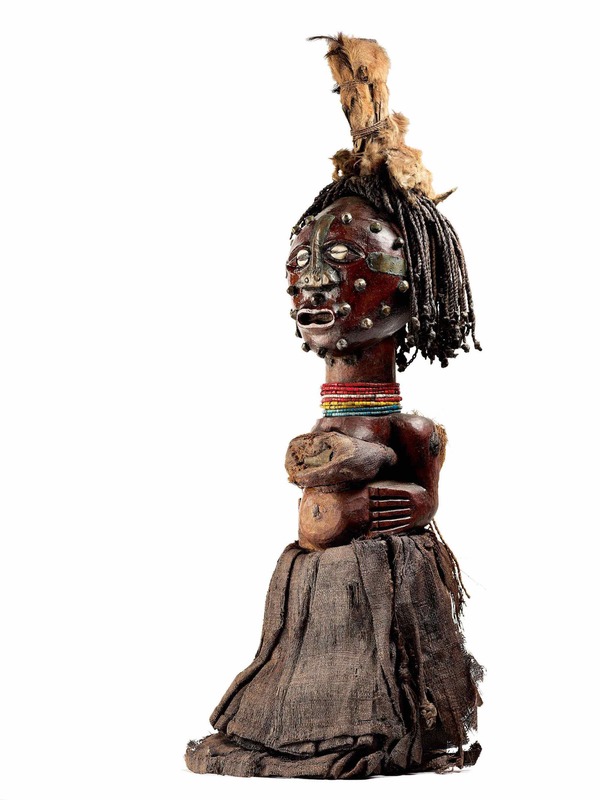 It makes collectors in other fields curious about African art and this combination often leads to collectors buying their first African art piece. 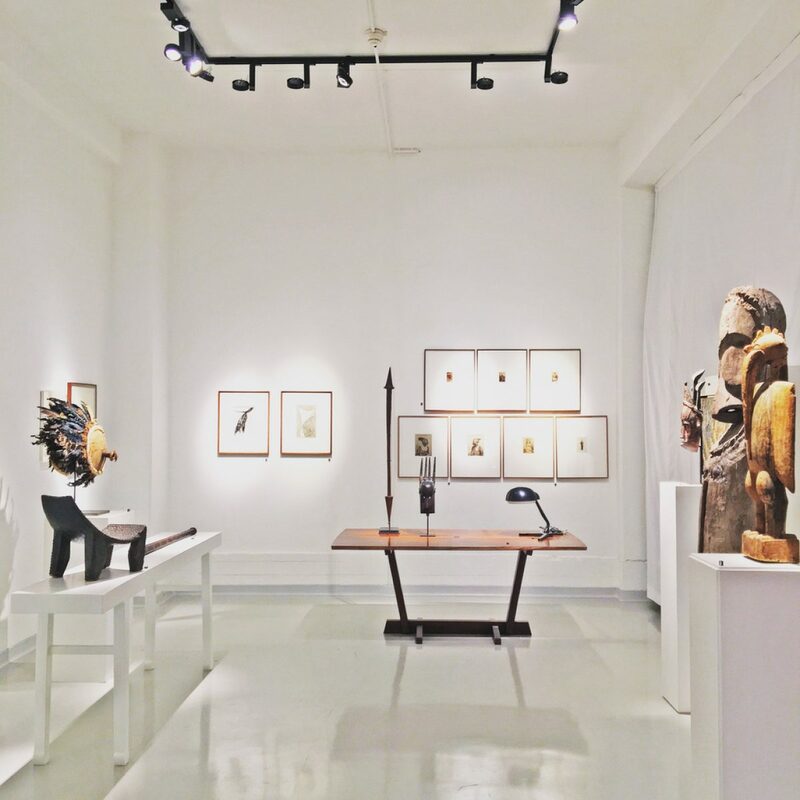 Moreover, it’s important to remember that a lot of African art collectors also love to collect objects in different fields—from contemporary art to modernist furniture. It’s a good way to pique interest. There was this auction we put together about two years ago. In it, we presented not only African art but also modern art, antique marbles, old masters’ paintings. I know it might sound strange at first but it all belonged to the same collection and we took pride in showing the taste and personality of the collector. We actually received a lot of compliments for that. It was like telling a story, like entering someone’s world. It’s not an easy approach but we do our best to trust our taste and we try not to make too many mistakes. In the end, it’s only the two of us so we feel free to make our own choices—and take our own responsibilities. How long does it take to prepare for an auction? What is the most difficult part of putting and auction together? Well, the most difficult part, of course, is finding nice objects, it’s even more complicated than finding buyers. If you have good quality objects the buyers come. It is also difficult to find something new and capable of stimulating our interest and the interest of the public. 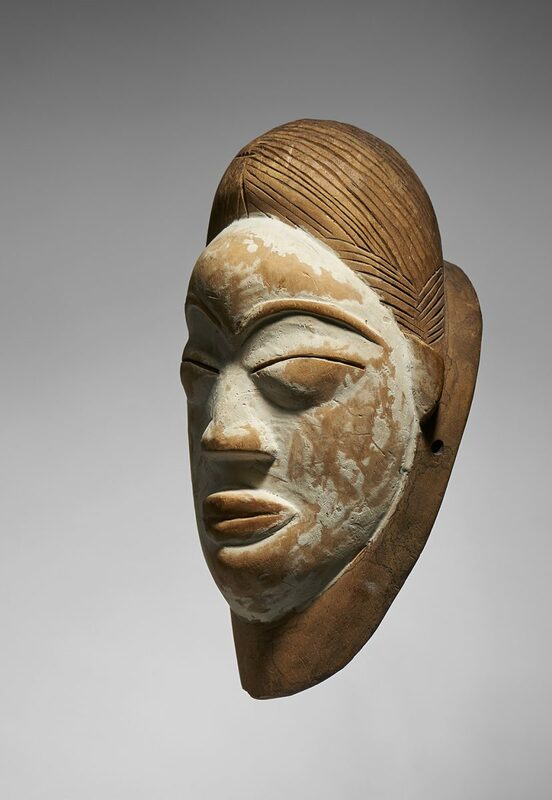 We tend to approach less commercial areas—art from Cameroon, Nigeria, or even some ethnic groups from the Democratic Republic of the Congo. We aim to present collectors with uncommon objects and it’s very rewarding when people appreciate them. Another difficult aspect is when you find yourself examining a private collection knowing that you can’t sell all of it, we have to extract the best pieces. In order to do that, we must not only trust our eyes and our taste but also have the ability to foresee what the collector intended to do with their collection, the spirit of it. But on the flipside, we need to know what people are going to like. Many pieces appear to be one thing when seen on dusty shelves and illuminated under poor lighting but they become something completely different if properly valorised. We don't want to work with too many objects at any one time. In our auctions, we usually offer no more than sixty to seventy objects per sale. We do not want to confuse our public, we want to capture attention. If we want to attract young collectors, who have just started approaching the 'tribal' art world, we need to present them a gallery like this—a compact, neat space, with a few selected objects. "Collectors pay for what they see, they certainly do not pay to be fooled!" If the object arrives in bad condition or slightly damaged, what do you usually do in that situation? We are aware that some collections are made up of valuable but damaged objects. Some of them deserve to be saved because they're rare and they can still work despite the missing bits. Nobody wants a heavily restored object. Collectors pay for what they see, they certainly do not pay to be fooled! It’s also important to remember that as an auction house, we produce catalogues. This means that every single object is estimated, photographed and published. Catalogues are, in a way, statements. If we make a mistake it will haunt us for years. We do not have financial backing or sponsors. We are here on our own, so we can’t do anything but work as honestly as possible. It’s the only simple way we think we could last in the market. Was there an auction that you enjoyed the most, an auction you remember? January 2018, it was our best ever. We really liked the catalogue and the fact that the objects came from a lot of different cultural areas and places. It was variegate and yet coherent, a lot of different pieces pointed in the same direction. We built it with the collector, Berend Hoekstra, who of course has many more objects. We wanted to tell his story through a selection of work from his life. Which factors are more important in determining the price of an object? The inner aesthetic and conceptual quality of the object along with its condition are paramount. However, if for instance, you have two similar objects (coming from the same background and the same culture, with the same kind of patina) but one was previously part of a famous collection and you know for sure that it was collected at the beginning of the last century, it’s clear that all those attributes play a significant role in giving the object more prestige. The story of an object becomes part of its personality and it would be naive to forget about that. Still, being a collector is also about creating that group of artworks that embody a vision and a personality, and there are great personalities around. After an auction, what happens to the unsold objects? We usually send them back. We’re not fans of aftersales, we think that aftersales do nothing good for the objects or the collectors. In any case, sending back an unsold object can be hard, especially when it happens to objects you loved and believed in. 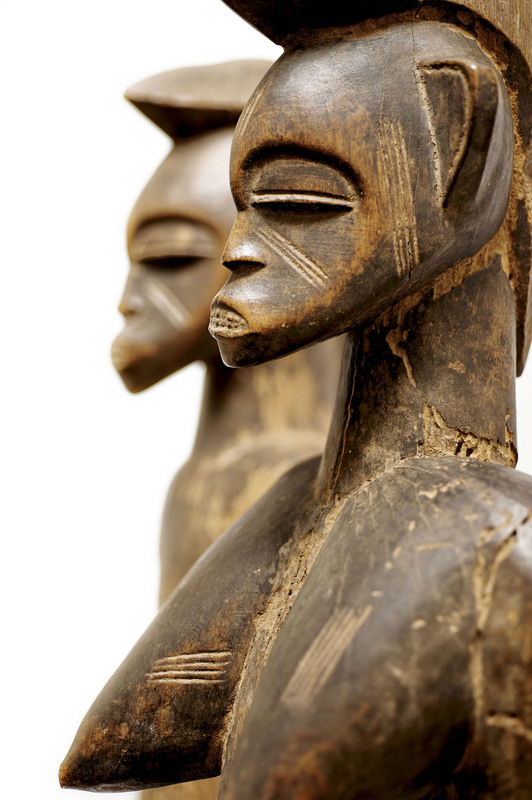 And finally, do you have any advice for young collectors interested in starting an African art collection? Everyone has different expectations. This is why we tend to first engage in long discussions with our newest clients in order to understand what their expectations are. Through time, discussions can reveal these expectations. It’s important for young collectors to ask themselves, "what do I really want and why do I want it? Why am I attracted to this object and not to that?" If you ask yourself these questions before buying art you will surely buy something valuable and you will hardly get tired of it. And if one day you’ll decide to sell it to improve your collection, you will give it easily away because it will be an object whose quality has been well established from the start. This is why we think it is important, before buying your first object, to see a lot of artworks, to feel them in your hands, to compare them with similar ones and understand their differences. And, most of all, young collectors need to exercise patience. They do not need to create their collection in six months, it doesn’t work like that. Collecting should be a lifetime passion, there’s no need to rush. Take your time, have fun—there’s nothing more rewarding. 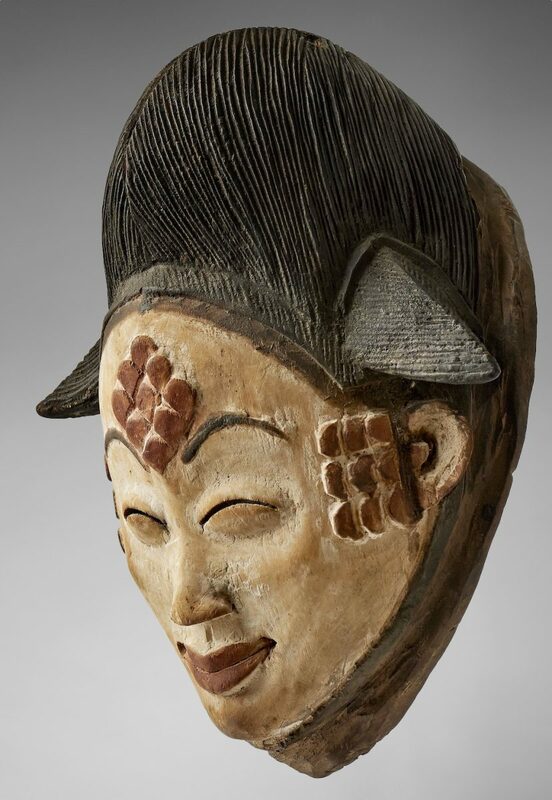 The Native auction of the ‘Helmet Zake Collection‘ of African art takes on 26 January 2019. Ilaria Pol Bodetto got her first master's degree in Art History at Università Degli Studi di Padova in 2017. In the past few years, she has worked at the MUDEC museum in Milan and has collaborated with the Italian African Art website 'Arti delle Mani Nere'. She is currently getting her second master's degree in Arts of Asia and Africa at SOAS University of London. Deborah Dainese got her master's degree in Art History at Università Degli Studi di Padova in 2017. She started studying African art in 2014, analysing the Venice Biennale of 1922. 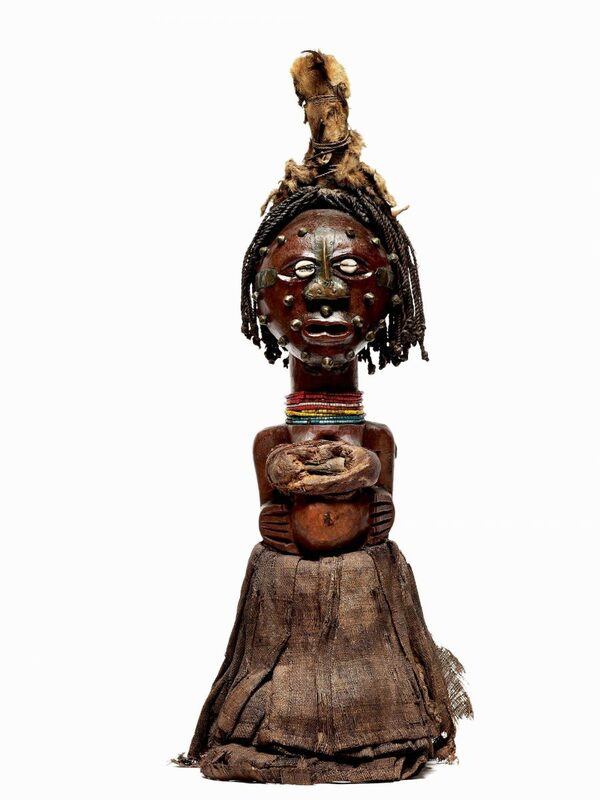 After that, she focused her interests on the syncretism between Christian religion and West African art. She is currently working at the ethnographic collection of the Museo Diocesano G. P. Nonis is Vicenza.